Just think about how much a deceased person would have learned about somebody who he thought had abandoned him during a difficult situation. Yasin (Anis Alobaidi) , Zaid’s (Dar Salim) little brother is involved in organized crime. When a robbery went wrong and Yasin could not get enough money to pay off his debt to a local gangster, he approached his elder brother, a successful doctor who rejects him for understandable reasons. But when Yasin dies shortly after, the same brother gives up his privileged life to become a masked avenger to revenge his brother`s death. The relationship between Yasin and Zaid was complicated. We don’t know much about the two when the movie begins. Only that Zaid was not sure what exactly his brother was doing and why he needed that much money, which is 100,000 Danish crones. But during the surgery, Zaid is called to be informed that his brother was brought to the same hospital with life-threatening injures. He visits him immediately but only to say goodbye to the already unconscious brother. When Zaid talks to the police about the progress of their investigation, he realizes that they won’t progress much as they believe that Yasin was a part of organized crime and who fell victim to an internal fight between the gangsters. This is when Zaid decides to begin his own investigation, using old skills he has in order to fight against those who took his brother’s life. Darkland is another decent action-packed crime drama from Denmark. Co-written and directed by Fenar Ahmad, it well narrates the life of certain immigrants who don’t want to give up the life they had back home, and continue being the same one in a new country. Even though the movie itself had never suggested to come to that point, however, a few lines does make the viewer believe in that. It also well highlights the police priorities in terms of investigating their cases and how passive they can get based on the victim they get in their case. 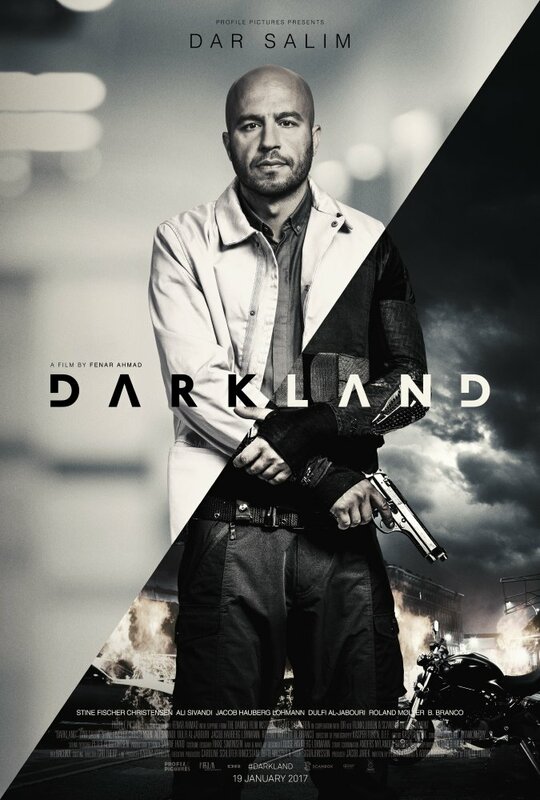 Overall, Darkland is a movie that will satisfy any action movie lover, especially those who like European movies. Even though the style itself is not too far from Hollywood, Darkland is not one of those movies you have seen, where everything ends with final credits. And that is something one can hope will be used in many other action packed movies to deliver what Darkland has done.